Arrived this am cold & humid. It was 90 Tuesday my rear roasted. 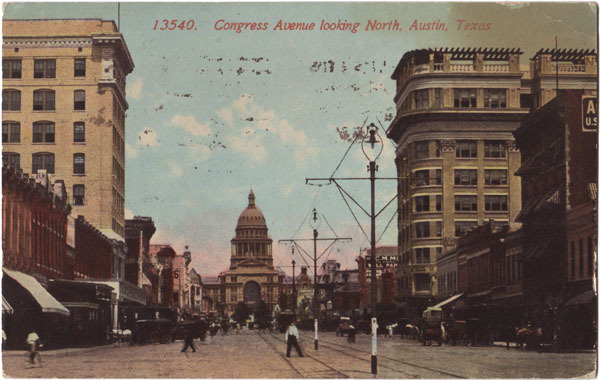 Postmark: Apr 9 1914 10AM AUSTIN TEX.